We know you need to grow and future-proof your locksmith business. We will help you. As an expert in the locksmithing field we understand that you are always looking to combine your long experience with the latest innovative technology so that you can offer the best value and service to your customers. 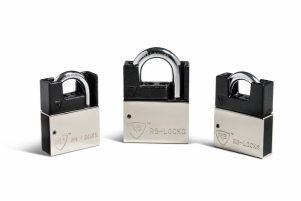 RB Locks high security lock cylinders combined with our patented key until 2030 offer over 3 billion key differs. With standard features such as anti-pick, drill and snap protection. Locxis provides high security solutions for homes and businesses. Whether it’s a single lock, ﻿keying﻿ alike or a large master key system, it is easy to assemble or rekey. Locxis cylinders are Sold Secure Gold tested with CEN 1303 certification for security. Loxcis with its unique range of floating dealer pins has many different profiles for dealers who want a restricted system in their area.